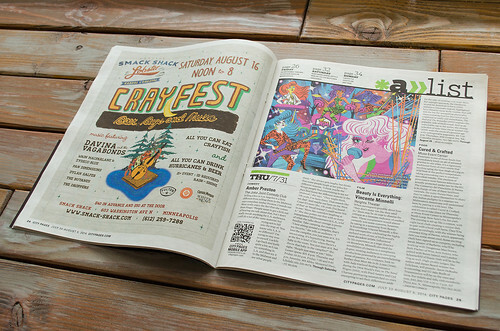 Thanks, City Pages! STACKS opens tomorrow! 7 - 10pm. 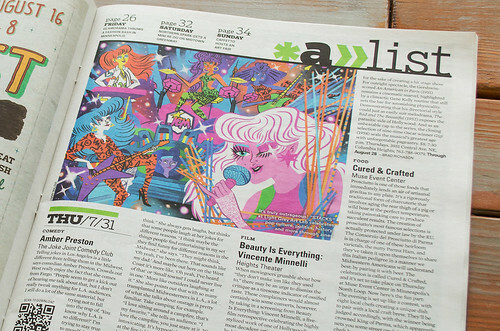 Jimmy Malone's STACKS zine was featured on in the City Pages A list! Thanks so much to the awesome staff of the City Pages, and Jessica Armbruster, for telling everyone about what we're up to! 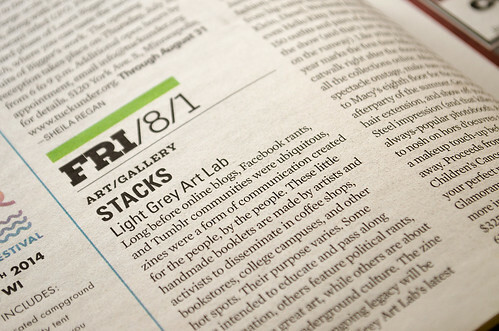 Some of the other awesome excerpts by Jimmy Malone, Julie Boehmer, Adriana Bellet, and Andrew Kolb) from the STACKS zines are shown on the online article here. If you guys can, try to stop by and see them in person! Questions? Give us a call or send us a note!